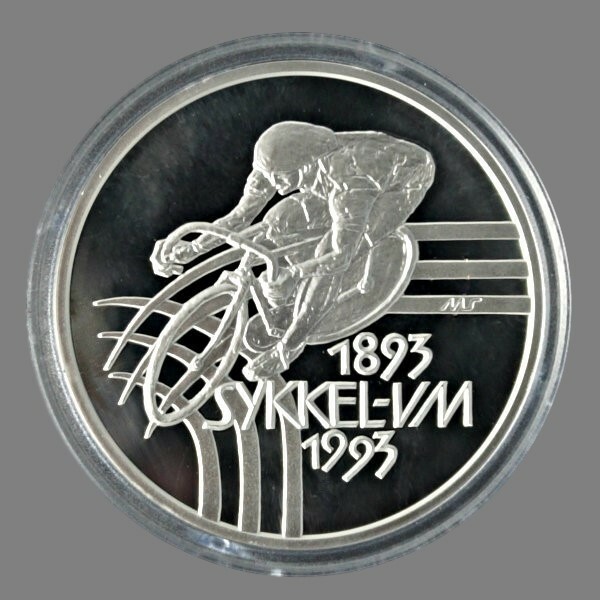 100 kroner dated 1993, struck under King Harald V, marking World Cycling Championship in Oslo the same year. Grading: PROOF. Obv. : Motif from a velodrome race. Reference: Sieg (2014) 108:96. Vekt: 33,88 g.